Jim is responsible for EDW’s end to end software solution architecture, design, solution delivery and implementation. Jim develops and executes the ERS solution strategy and business plan that supports product growth, industry, market and customer requirements. Jim is the visionary and strategist for the ERS solution. Through his experience, Jim is recognised as an industry expert in the processes and systems that support retail electricity suppliers. 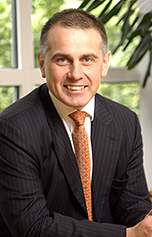 After graduating from Glasgow with BSc (Hons) in 1984, Jim spent 11 years in financial services. His roles during this period of rapid de-regulation of the financial marketplace included sales, operational and IT project management.